Mom loved working in her flower beds and vegetable beds so this is what I picked for her! 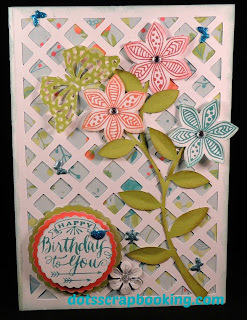 The latticework and background along with the butterflies and flowers make for a summer-like birthday card for my Mom. The embellishments are Sparkles Z1752, Junebug Puffies Z3038, and a flower from the Brushed Assortment Z3013. I have to run to get to the Post Office! Her birthday is this week!! Beautiful card. I love the embellishments here and there....great touch. Thank you for inspiring us at Color My Heart Challenge Blog. I love the blossom paper peaking through your lattice. Very pretty lots of details. Lovely, Dorothy. The lattice makes a perfect setting for your fun flowers! Thanks for joining the Color Dare. Beautiful card, Dorothy! 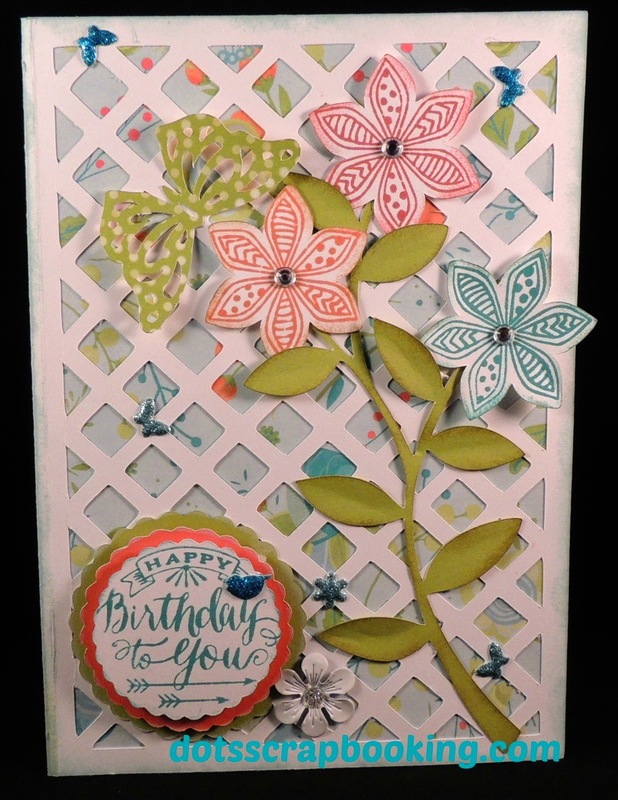 I love the lattice background and the bold flowers. Thanks for sharing it with us at the Color Dare again. How Can I Use The May Specials? Combined Challenges So Much Fun!! Another Adopted Dog is in the House-It's Daisy!